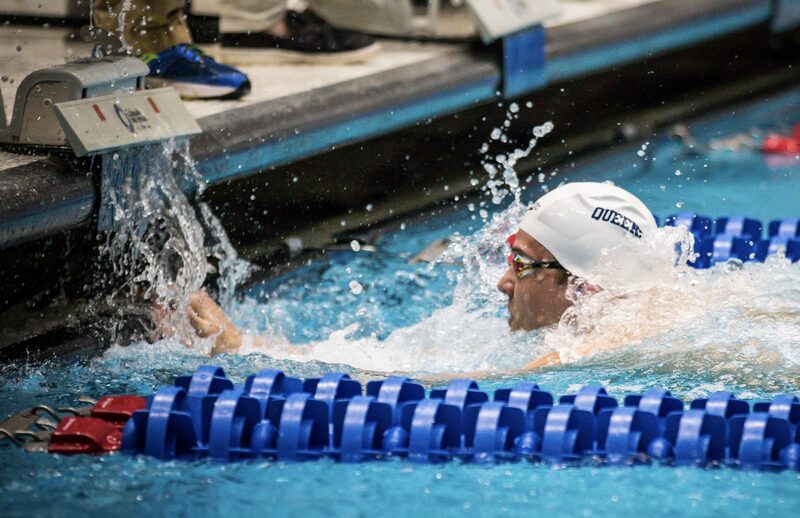 Queens University of Charlotte senior Marius Kusch lowered his own NCAA Division II and championship meet records in the 100 free to 41.73 on Saturday in finals of the individual event. It was his fourth individual title and third NCAA Division II record of the weekend. He won the 200 IM, 100 fly (with an NCAA D2 record), 100 back (with an NCAA D2 record), and 100 free (with an NCAA D2 record). He was also a member of three winning relays at the 2019 NCAA Division II Championships. It was obvious from the start of the race that Kusch was going to make the most of his final collegiate swim. He exploded off the block and was already half a body length ahead of the field coming off the 25 wall. By the 75 turn he was a full body ahead, and when he came into the final wall he had lowered his own meet and Division II record by 7/10. Kusch became the first Division II swimmer to break 42 seconds, notching a 41.73 for the win. Out in 19.86, he came home in 21.87. Later that evening he swam the second-fastest 100 free in Division II history leading off the Queens 400 free relay. There, he was out in 20.04 and back in 21.97 for a time of 42.01. This was Kusch’s third consecutive national title in the 100 free. In 2017 he won with 43.03. The following year he went 42.42 to break the Division II mark of 42.61, set by Andrey Seryy of Wayne State at 2012 NCAA Division II Championships. And now, with his 2019 victory, he has lowered that mark again, to 41.73. In February at the Bluegrass Mountain Championships, Kusch won the 100 free in 42.29. That eclipsed his 2018 NCAA record but the championship mark remained at 42.42… until Saturday. Now both stand at 41.73. Not if you were 99 yo!! Problem here is we’re mostly talking about the time being impressive not the place. 41.73 is a phenomenal time for a 25 year old just the same as it is for a 22 year old. I don’t understand people who are complaining about the age Gap. There is no set age for college, as if must enter at 18 and leave at 22. If you want age restricted swimming I suggest you return to age group meets. 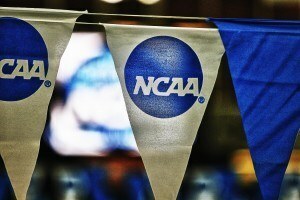 There are no age restrictions across any NCAA division. Not everyone at DII NC’s is 6 years younger than him. There are several older swimmers. The majority of that ones that are older, such as the 23 year old “Freshman” Alex Kunert of Queens, are also basically foreign professional swimmers. Polina Lapshina, also of Queens, is 23 years old. Wanda Dollmayer of Queens is a 23 year old redshirt sophomore. Interesting that a large number of these older swimmers “attend” Queens and are all foreign swimmers. What is so “Interesting” about an international student PURSUING their university degree at a US institution of higher education????? Go to almost any US institution of higher education’s website and research percentage of International Students…I believe you might be Shocked at the numbers/percentages of the general student body….and many of them are on some type of institutional financial aid, that is not athletically based. BTW, the correct term for these students is “international”, not “foreign”. I bet a lot of guys said that in the 2Fl in the summer of 2001 about the kids they were racing. After 20 or so everyone is playing with the same upper limits. You’re picking out exceptional talents. In general being 25 and having had an international swimming career gives a huge advantage over a 18-19 year old. Between a senior at 22 and this not as much but he’d still have the experience and support of the German national team from his prior World and European Championship appearances so it does feel like professional vs amateur even if it technically isn’t. He swims with team elite he doesn’t even train with his team. That’s the issue! That’s the part the bugs me. 26 is pretty tame actually for DII foreign guys. Tomas Kuzvard was 30 or 31 his last NCAAs. Andrey Seryy was 27 or 28. Eetu Karvonen 28 or 29. That’s the way DII works, gives those guys a chance to compete while going to college in a way that DI doesn’t let you. Ok, to me that’s a bit different. And I say that having been a 30-year-old on relays at Sectionals and a senior champs this past year. In my case, there’s only so many meets I can actually get to every year (basically one meet in the Ozark Masters LMSC per season), and the level of competition there is not optimal for me. I can make it a trip to Nationals but unless it’s in Indy or something it is not cheap. So next best thing is USA-S meets. There’s also still a team elite in Charlotte…. How do you know he doesn’t train with the team? I am there and for what I know I see him in the pool with me. is there an age-related rule that applies to D1? Not accurate at all. There are MANY waivers available to enroll later than that. Just a couple off the top of my head: Student-athletes from countries that have required military service can receive a waiver. There are also medical waivers available, hardship waivers, religious waivers the list goes on. BYU often has older AMERICAN freshmen who enroll after they complete their missions. I have seen AMERICAN freshmen in Division I range from 17-22, and international freshmen as young as 16! 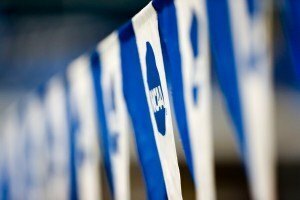 Division II rules are different, and often if swimmers such as Marius aren’t eligible under Div I rules, the lucky/prudent Div II coaches can easily pick them up. 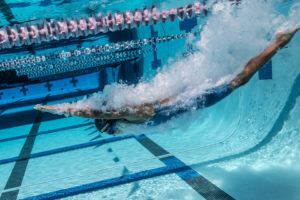 Stop whining and swim faster… winners don’t have to make up excuses! Are you, like, 19? Good for you smacking those 13 year olds.